Stock up! 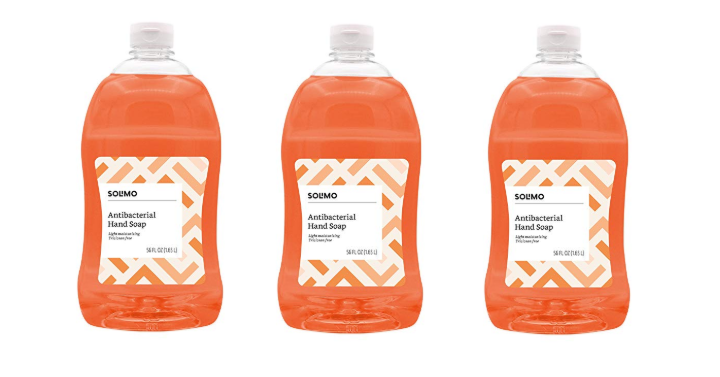 Amazon has the Amazon Brand – Solimo Antibacterial Liquid Hand Soap (56 Fluid Ounces) for only $3.99 each which is a great deal! (Reg. $8.83) We go through a lot of soap, so when there is a great deal then I grab it. Keep in mind, Amazon pricing can change at any time! Don’t wait to purchase this deal or it might be gone when you come back!